Does this sound familiar? You’re going through your line, making sure everything is running smoothly. You’re checking in with your team to make sure you’re going to meet the deadline, making sure that you have enough materials and time is carving out just right and then – OOPS – you realize you’re on your last bit of glue to finish the job! So then you’re faced with a dilemma. You call up your internal AJ Account Manager and hope against hope it’s not too late to get more glue out today since you know we’ve gotten you out of that pickle before. We know the drill. We understand it’s always stressful when you get yourself into that predicament and AJ is always here to help you as best we can to make sure your line never goes down. But how can you have your internal team help you to make sure you’re not in that situation? We’re here to help you with that too! Check out these fail safe ways to make sure you order on time and avoid those rush charges. 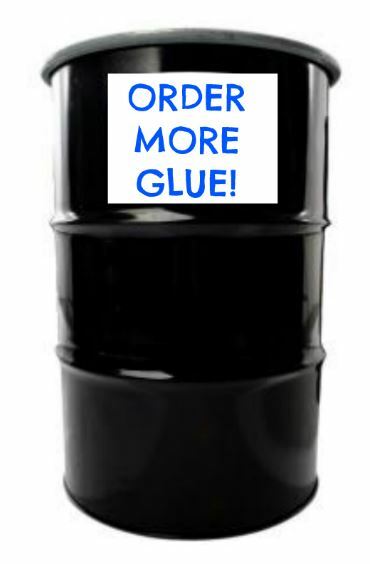 Order multiple drums of glue at a time? On the last drum (or second to last, depending how fast you’re going through it) put a big colorful sign on the drum triggering you, or your staff, to order more glue! This way the new order will arrive to you before you run out. Buy a pallet of hot-melt at a time? When you get to the bottom row of boxes use that as your trigger to place another order. 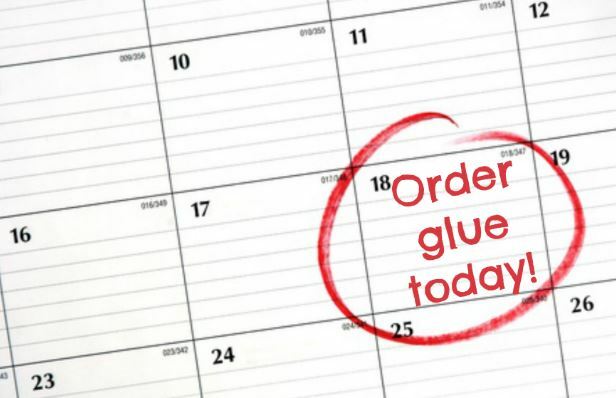 It may seem like you still have a lot of glue, but ordering with extra stock on-hand will help you to avoid any rush charges, work around any shipping issues with inclement weather and will ensure you don’t run out before your next order arrives. Order by the case? If you order multiple cases, or just order a case at at time, the best way to make sure you don’t run out is to keep a schedule of when is best for you to order. Maybe at the beginning of every month is the best time for you to order. Need more glue than that? Maybe the 1st and the 15th would be best. Find what works best for your company’s production flow and adjust accordingly. Hopefully these helpful tips and tricks will help you to keep your production flow seamless. ← IHC CoverGirl – Meet Nichole!